Will ISIS Strike America's Achilles Heel? According to the indispensable government watchdog group Judicial Watch, the U.S.government has evidence that the jihadist Islamic State (IS) is present in Juarez, Mexico – acrossthe Rio Grande from El Paso, Texas. Worse yet, the Texas Department of Public Safety believesthere is evidence that IS plans an imminent attack in this country. In light of the latest murderous attack by this organization against an American journalist,Steven Sotloff, among other atrocities, such threats must be taken with the utmost seriousness. Among the targets national security professionals fear may now be in the jihadis’ crosshairs is America’s exceedingly vulnerable electric grid. A panel discussion being held at theNational Press Club in Washington Wednesday afternoon will show how a spate of recentattacks involving sabotage and destruction of property at various electric substations here andelsewhere could be leading indicators of the next 9/11 – one potentially vastly more destructivethan the original which occurred thirteen years ago next week. One of the experts participating in the event organized by the Secure the Grid Coalition(www.SecuretheGrid.com), Dr. Peter Vincent Pry, has warned that the sort of collusion thathas been taking place between jihadist groups like the Islamic State and Latin American drugcartels could allow such a scenario to be actualized. After all, last October, the Knights Templarnarco-traffickers blacked out the grid of the Mexican state of Michoacan to murder lawenforcement personnel and others. And last June, a substation serving the border and city ofNogales, Arizona was nearly destroyed by an improvised explosive device. Dr. Pry and two other nationally renowned experts on the grid vulnerability issue -former Defense Department official and author F. Michael Maloof and former Air Force DeputyAssistant Secretary and Director of the Strategic Defense Initiative Amb. Henry F. Cooper – willdiscuss the various naturally occurring and man-induced phenomena that threaten our bulkpower distribution system and, with it, all the other critical infrastructures that depend uponthe grid to supply the necessities of life in 21st-century America. 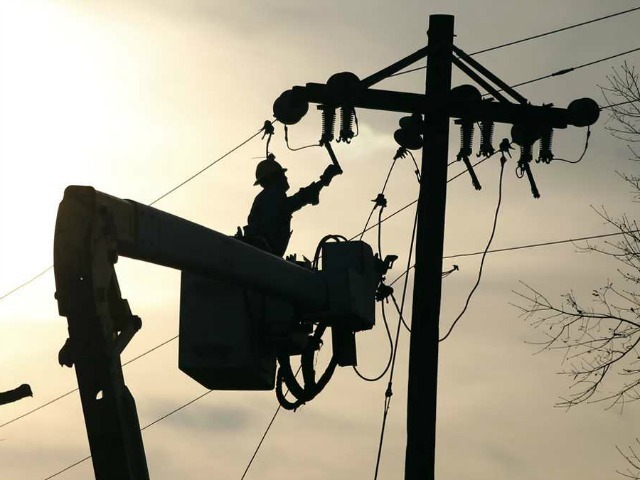 Of particular concern is the prospect that, in the event attacks are mounted successfullyagainst a handful of critical U.S. facilities operating high voltage transformers, widespread andprotracted blackouts could occur across the United States. By one official estimate, should thepower go out and stay out for over a year, nine out of ten Americans would likely perish. Such a horrifying prospect has moved some in Hollywood to lend their celebrity andskills to raising public awareness about the need to make the electric grid more resilient. Aleader in that effort is Kelly Carlson, an accomplished Hollywood actor who has been active onnational and maritime security issues and serves as member of the Secure the Grid Coalition.She will be participating in the panel discussion via Skype and will present several videos thatwill begin rolling out nationally this week. The timing of this discussion not only responds to the growing evidence of ourvulnerability to a truly existential threat. It also anticipates deliberations in the Congress laterthis month on legislation sponsored by Reps. Trent Franks of Arizona and Pete Sessions of Texasand strongly supported by House Homeland Security Chairman Michael McCaul. Known as theCritical Infrastructure Protection Act, this measure would require the Department of HomelandSecurity to make a focus for a new “National Planning Scenario” a particularly destructivemeans of attacking the electric grid: a high-altitude nuclear detonation unleashingelectromagnetic pulse (EMP) over large areas. Dr. Cooper will draw upon his experience overseeing the sorts of techniques that thePentagon has used for more than fifty years to protect its critical assets (principally the nucleardeterrent forces, missile defenses and associated command and control) to illuminatemeasures that could be used cost-effectively and reasonably quickly to secure the grid againstEMP and other perils. The death and destruction now being meted out routinely by the Islamic State andassorted other shariah-adherent terrorists calls to mind one of the lessons drawn by the 9/11Commission about the murderous suicidal aircraft hijackings of that black day thirteen yearsago: The Commissioners described our unpreparedness for that act of jihad as “a failure ofimagination.” We dare not indulge in such a failure again – especially in the face of mountingevidence that today’s terrorists have the imagination, the ability, and the desire to take downour grid.